The Klez Katz — New CD! 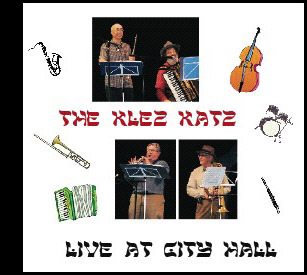 The Klez Katz proudly present their first CD, Live at City Hall, eleven sprightly tracks of Yiddish music ranging from traditional to contemporary to seasonal, performed with the Katz' customary chutzpah and recorded live at (where else?) Seattle City Hall. Available now through Bard's Cathedral!